Though it has been revealed that Ru’afo and the Son’a now control the Jem’Hadar (thanks to their plentiful supplies of ketracel-white), neither the Federation nor the Dominion yet know what Ru’afo plans to do with his new army. Join the intelligence wings of the Federation, the Romulan Star Empire, and the Cardassian Union to find out. 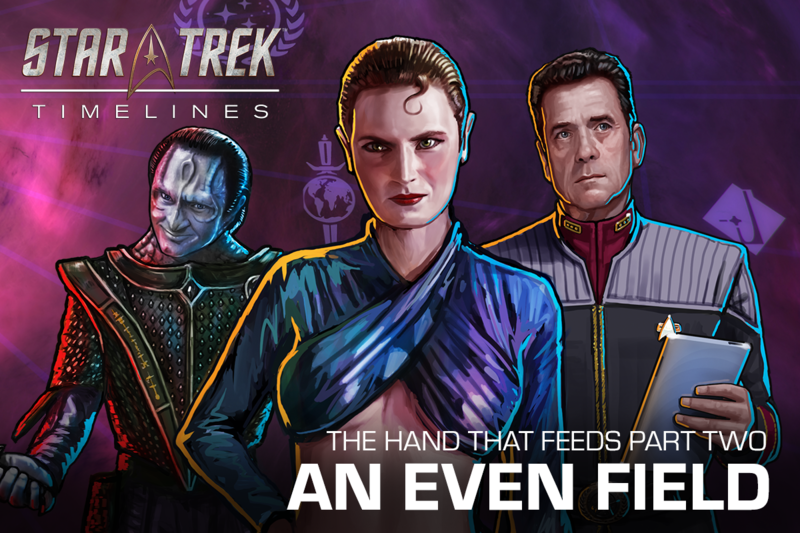 • small bonus: variants of Yar, variants of Garak, and crew with the Dominion trait.